We made it all the way through the week back to Chocolate Friday again! If that doesn't call for eating chocolate, I don't know what does! Instead of a recipe today, I thought I should share some chocolate thoughts from a book I received. This book was given to me last year because a friend thought I might like it! And I do! 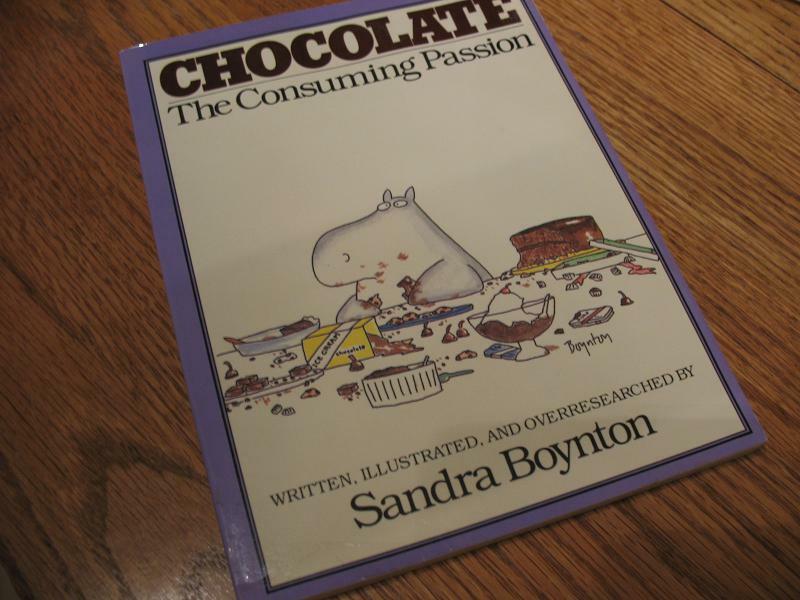 There is some very helpful info in the book, including how to find chocolate when traveling abroad. So, you need to know how to say "Excuse me, where is the nearest chocolate?" in other languages! "Excusez-moi, ou est le chocolat le plus proche?" "Entschuldigen Sie bitte, wo ist die nachste Schokolade?" "Ardonpay emay, erewhay isyay ethay earestnay ocolatechay?" I'm sure that will be most helpful to you and you can practice those all day today! Now I'm counting on you to bring some chocolate today to link up. 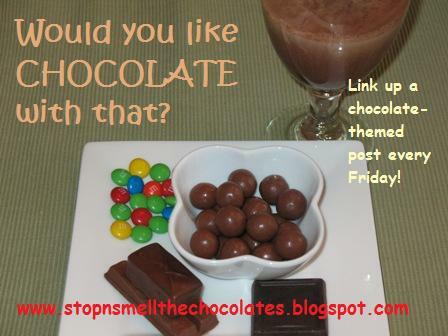 Please give links that go directly to your chocolate post and if possible include a link back to this post! Oh that's funny my friend. I think the only place I'd end up getting chocolate besides here is England. I think I could actually pull that off. Big "Ayez un beau jour" size hugs to you!